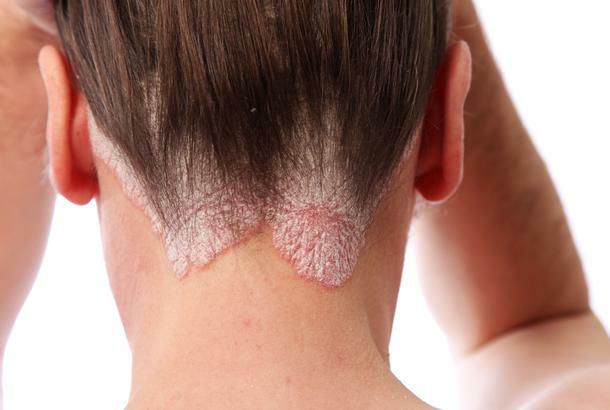 The most common form of Psoriasis features raised red patches with loose dead skin cells on top. Guttate Psoriasis shows up on the skin as small, tear-drop shaped spots. Pustular Psoriasis shows up as white bumps filled with pus near or inside red skin blotches. Inverse Psoriasis gives sufferers red shiny patches inside skin folds like armpits and groins. 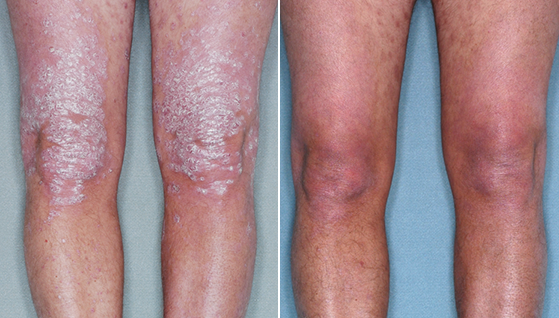 In this rare but dangerous form of Psoriasis, the main symptom is fiery red painful skin . Up to half of those with psoriasis have nail changes. This is even more common in people who have psoriatic arthritis, which affects your joints. This is a condition where you have both psoriasis and arthritis (joint inflammation).